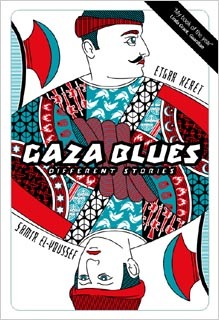 Two writers, Israeli Etgar Keret and Palestinian Samir el-Youssef, have engaged in a challenging and provocative artistic collaboration, producing a book of short stories and a novella exploring different aspects of a fraught and complex situation. Their bleak, hip, urban tales reflect the dreams and nightmares of living in contemporary Israel and during the first Intifada. Samir El-Youssef was born in the Lebanon in 1965 now living in London. He is an essayist, short story writer and reviewer. He is a regular contributor to major Arab periodicals and to London-based Arabic news services. His first collection of stories 'Domestic Affairs' was published in Beirut in 1994. �8.99 plus postage of £1= UK, £2= Euro, £3=rest of the world.